Have the need for a new and original book? Maybe a book with a unique way of writing? Then I know the perfect book for you; it’s Perfect by Ellen Hopkins. Perfect takes you on a journey through the lives of four teenagers, all striving to be perfect. Cara is never smart enough, never has what her parents want. Kendra wants to do things, but in her mind, she will never have the perfect body no matter how many surgeries she has to do or pills she has to take. Sean is your typical jock with the perfect girlfriend (or so he thinks) that can never be strong enough, even with steroids. Andre will never live up to his father’s expectations; he will never be that son his father always wanted. I would have to recommend that before reading this book you would read Impulse. Impulse is another book by Ellen Hopkins. She has a lot of the same characters intertwine. This book is the people who have ever wanted to be the best be the prettiest be the smartest, or get out of your family’s shadow. This book is for anyone that has or has had the desire to be perfect. Jealousy: How much does it really affect your life? Jealously n.; pl. Unpleasant suspicion or ill feeling arising from distrust of another; Suspicion of faithfulness of one’s husband, wife, or lover. Salem High School presented an open house, Thursday October 27th from 5:00 to 7:00 PM. Students were welcome to bring their parents to the school and hang out with other peers and parents. Open House is a way for parents to check in on their kids, to see if they’re behaving well in class or if they need to settle down, and make room for improvement. The choir was performing a concert for everyone who attended the open house, with songs like “Chain of Fools” and “Bound for Jubilee”. Art students set up displays in the main lobby for parents to see their student’s skills and improvements. There were self-portraits set up all around the lobby from the students in art for their first year. “This year the turnout was very good. There were a lot of parents, in comparison to other years the turnout seemed the same as always,” said Mr. Wesley Whitfield, assistant principal. On December 2, Salem High School’s French Club will be taking a trip to Le Petit Café in Bloomington. They will eat dinner which includes a dessert of Mousse au Chocolat. To be eligible for the trip, French Club members must bring in five canned foods to Mrs. Shenan Campbell at the Alternative School across the street from the high school. After the visit to La Petit Café, members will go to the College Mall and shop for Christmas presents. 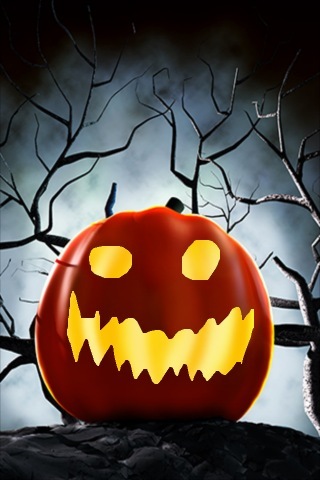 What is your Jack-o-Lantern design? “My life is very stressful. I am a newlywed and that’s also stressful,” Miranda Kellum, FACS teacher of Salem High School confesses. “I got married during the week of my finals, and continued with new classes online on my Honeymoon. Good thing my husband is very understanding.” Kellum was a very dedicated student in school and still is a very dedicated person with whatever she proceeds to do in her life.